I love recognizing coming new season with food. 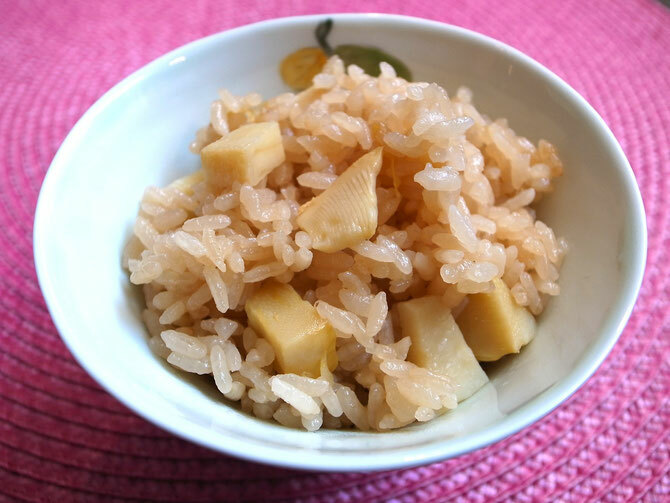 Takenoko = bamboo shoot is one of the most significant spring vegetables in Japan. 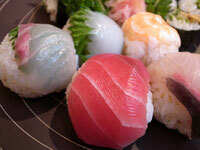 Now, we are able to find fresh Takenoko at everywhere. 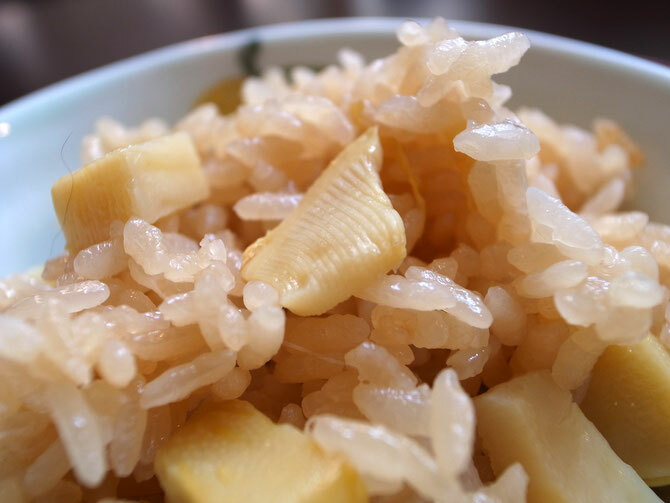 Takenoko has strong harshness and to remove the harshness of fresh Takenoko, it is boiled for about an hour with rice bran and red hot pepper before it is cooked. So it actually takes time to cook Takenoko. But still we can not stop cooking this fresh spring vegetable to feel new season that we've been waitintg for last a couple of months. Fresh Takenoko still has dirts around them and I don't think I am not the only one who feel its strong hold on life from its appearance. Not only the taste but also I like Takenoko's unique texture and especially its scent. I love the moment when I open the pot with Takenoko rice which is just made. 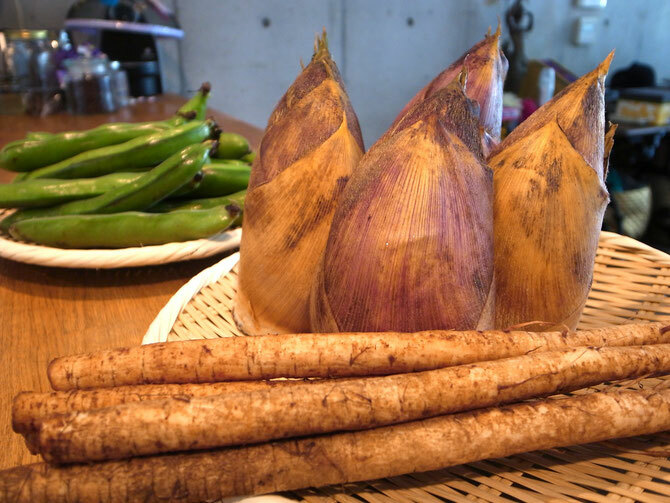 Once you open the pot, scent of Takenoko hangs in the air, so enjoy the scent first and then taste. 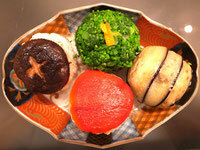 This is how I enjoy cooking Takenoko.